I remember reading the book Blueberries for Sal by Robert McCloskey when I was growing up. I would dream of what it would be like to follow my mother around on a hill picking perfectly ripe, very plump, blueberries that we would can for the winter. Funny thing about growing up in Cleveland is that we do not have blueberries growing in our backyards. If there were any places that grew blueberries nearby, I never knew about them. And as far as canning was concerned, that was unheard of in our household. If one wanted a product that was in need of canning, then go to the store and buy a can. 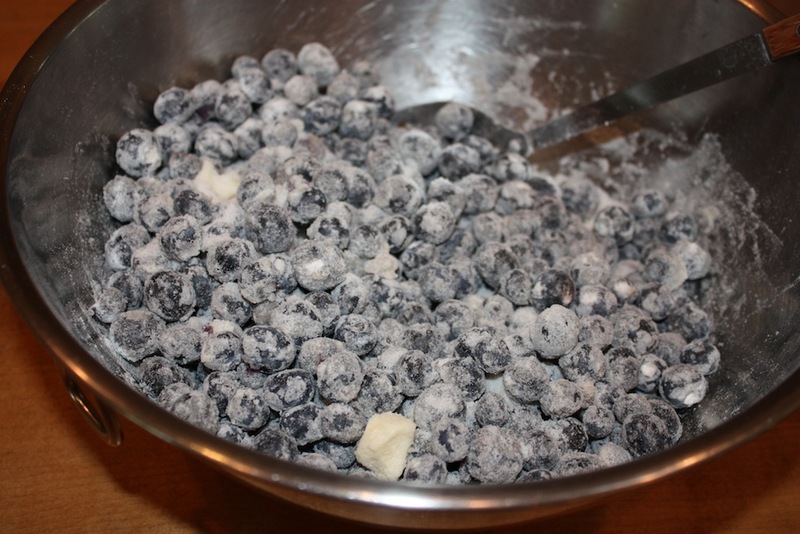 Fresh blueberries were only for summertime, which made me sad. Don’t get me wrong, I love a big juicy apple in the middle of winter, but it is not the same as eating blueberries in the summer. Blueberries are “poppable,” meaning I can sit at a table and just pop them into my mouth. When blueberries are at their peak (generally between May and August in the United States), the berries are firm and sweet. I can tell by looking at the blueberry containers in the grocery stores when they are ready for my table. The perfect ones are just right for both popping and baking as the berries are large and firm with a gorgeous deep blue color that screams to be bought and enjoyed. What choice do I really have? I am left with a short window of time where I am able to buy the blueberries from Maine (a favorite of mine) so I HAVE to take advantage when I can. I examine many containers to find the perfect three and rush home to make a blueberry pie. The buttery crust compliments the plump berries like they were made for each other. 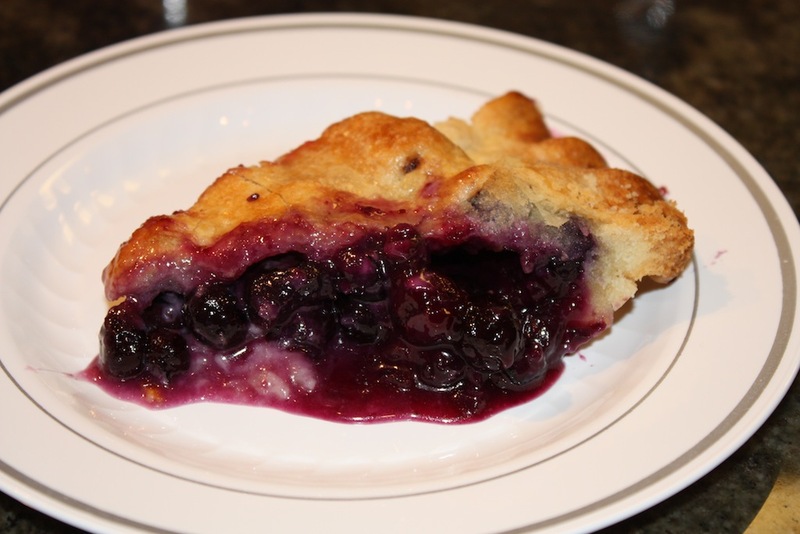 Yes, of course there are many other recipes that are fabulous with blueberries, but the simplicity of this pie allows the blueberries to shine as they are supposed to do. In terms of canning blueberries the way Sal and her mom did, well, I tried canning once. A group of friends went and picked tomatoes and then made several kinds of pasta sauces, which we canned. I enjoyed the camaraderie in the kitchen, but really did not get into the process of canning. I have tremendous respect and admiration for those who do, but it just is not my thing. Therefore, I think I am more like the mommy bear in the book. Rather than enjoying the fresh blueberries all year long as Sal’s family did, I bake and eat enough blueberry pies during the summer so that I am ready for a change of pace once the season ends. As for the rest of the year? I spend days during the winter months simply daydreaming of lying in a blueberry field and picking fresh blueberries to take home and bake a pie with. 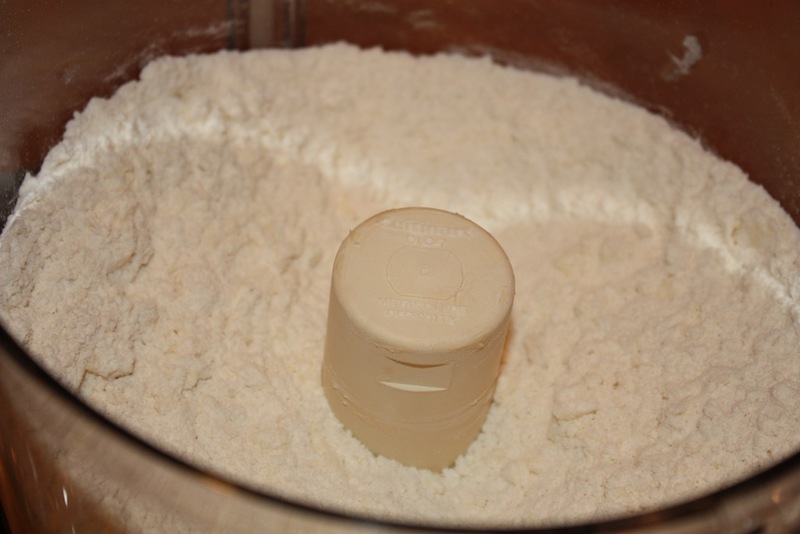 Combine the flour and sugar in a food processor. Pulse on/off to mix. Add the butter and pulse on/off until the butter is the size of baby peas. While using the pulse on/off button, add the ice water 1 tablespoon at a time and mix just until the dough becomes a ball. The dough should not be wet and sticky. 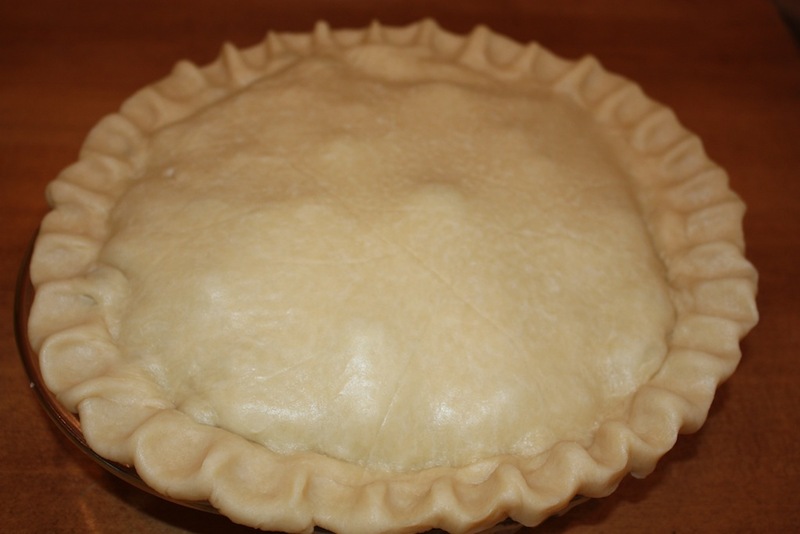 Divide the ball into two, making one ball slightly larger than the other (bottom crust vs. top crust). 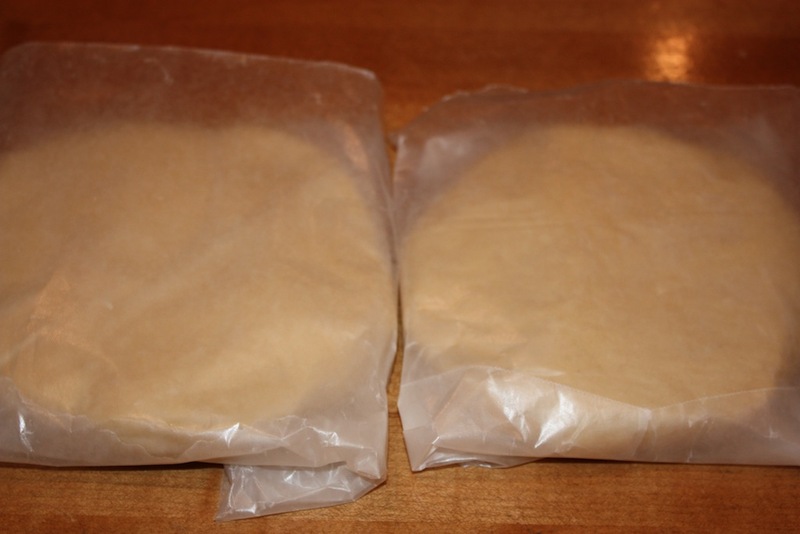 Individually wrap the balls in a sheet of wax paper and form a disc shape with the dough. Refrigerate for at least one hour. Preheat oven to 400º. 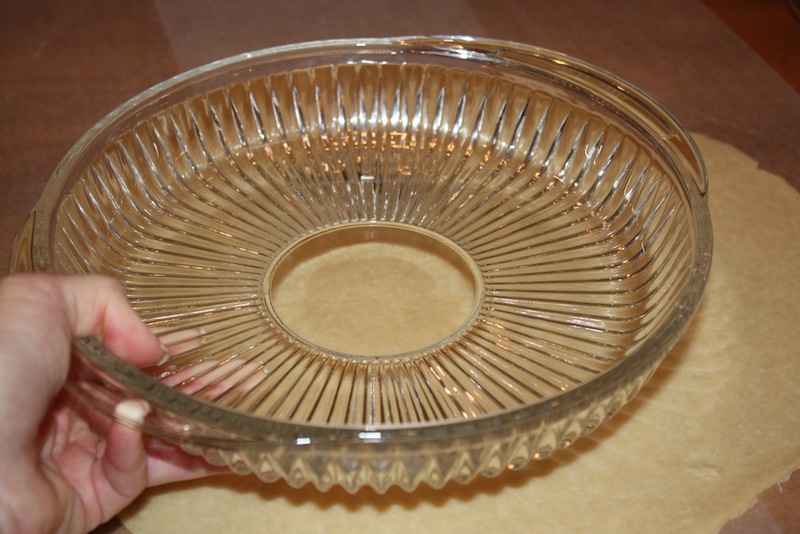 Set aside 9” deep dish pie plate. Gently combine all of the filling ingredients in a bowl and set aside while rolling crusts. Beat the egg yolk into the whipping cream and set aside. 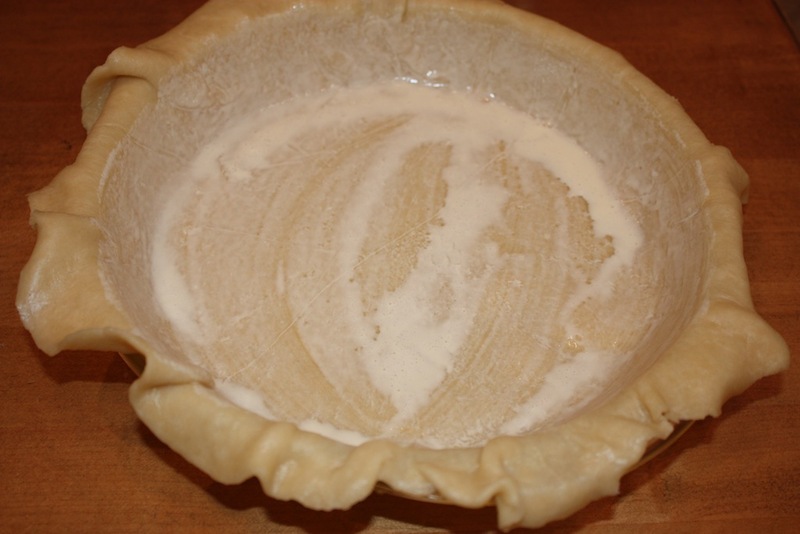 Roll out the larger dough, either on a lightly floured surface or between sheets of wax paper, so that it is large enough to fit into pie plate with a small overhang of pie crust that will be used to seal the top crust. Spray the pie plate with cooking spray (i.e. PAM®) and transfer the dough to the plate. 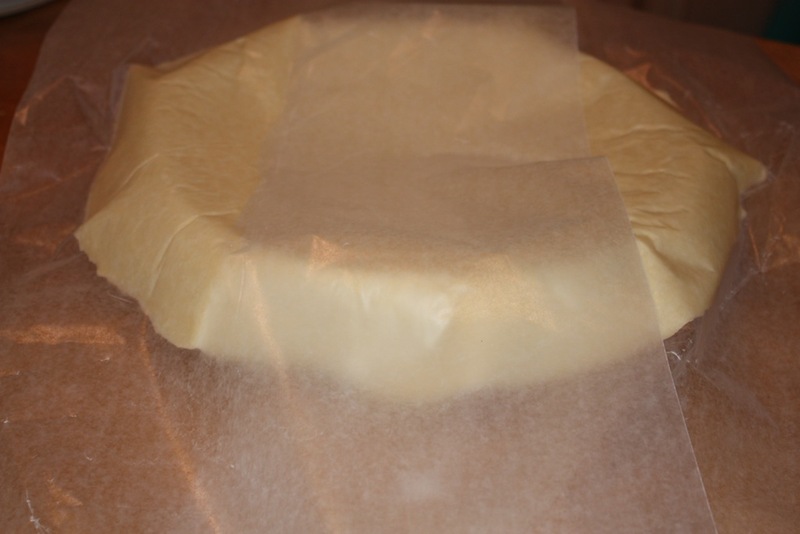 Roll out the second dough, large enough to cover the pie with an overhang to seal. Brush some of the topping mixture into the bottom and sides of the pie shell. 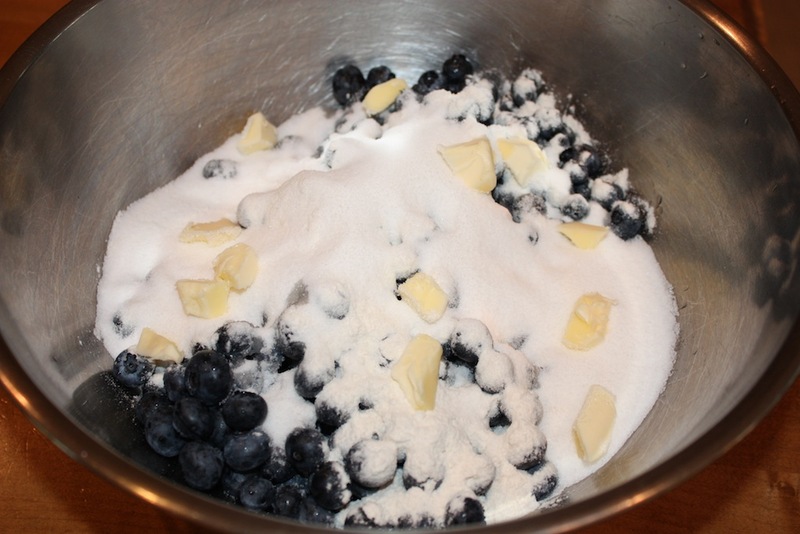 Transfer the blueberries to the shell, evenly distributing the flour/sugar mixture that will be left in the bottom of the bowl. 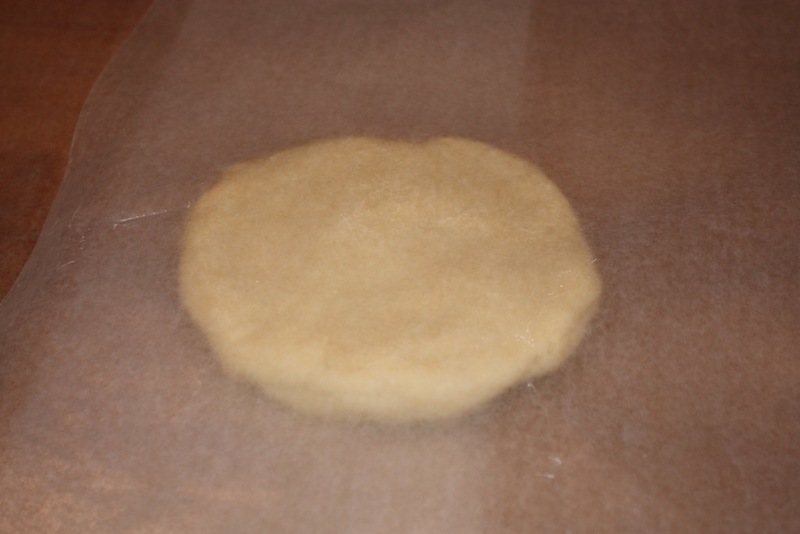 Top with the remaining rolled out dough and fold the top edges over the bottom crusts overhang and seal the two together. 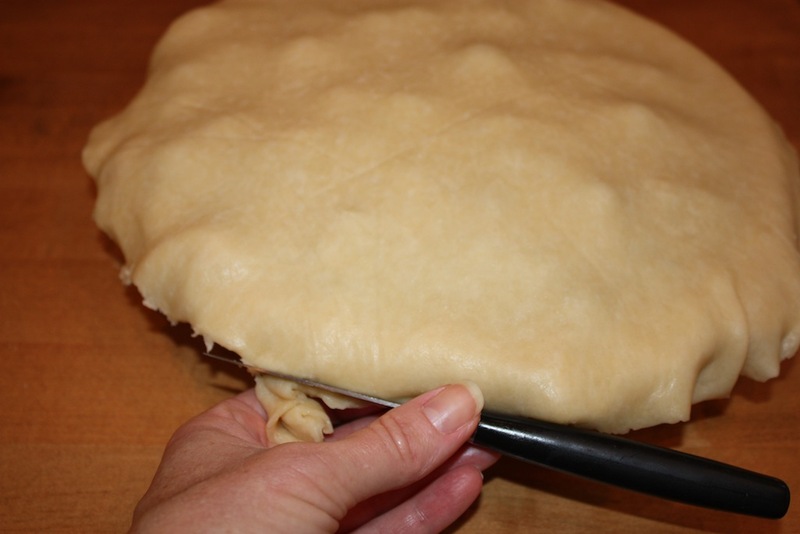 If there is a large amount of dough hanging down, cut the excess amount off so that the crust is even. 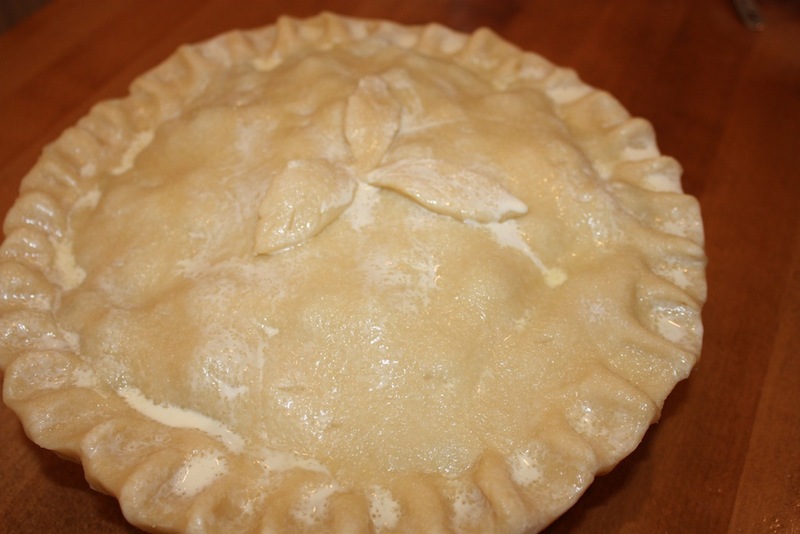 Crimp or decorate the edges of the pie as desired. 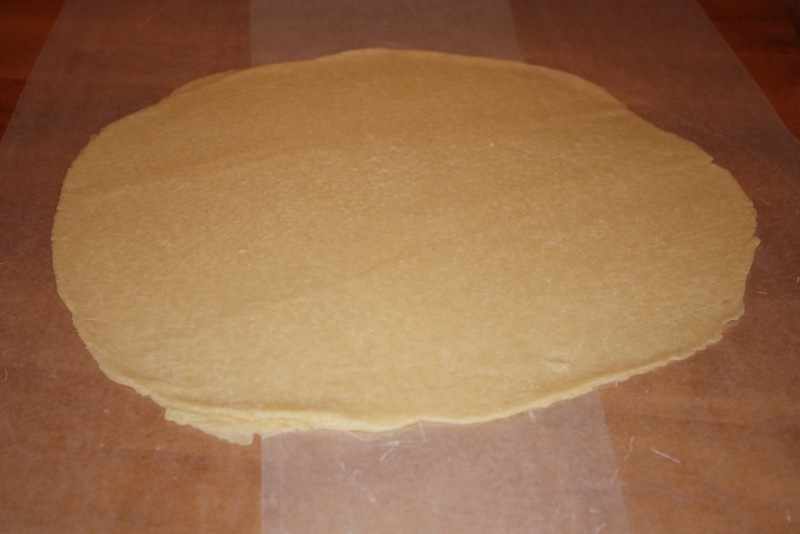 Roll or flatten the excess dough and cut out three leaves (or round ‘berries’ or a combination of the two). 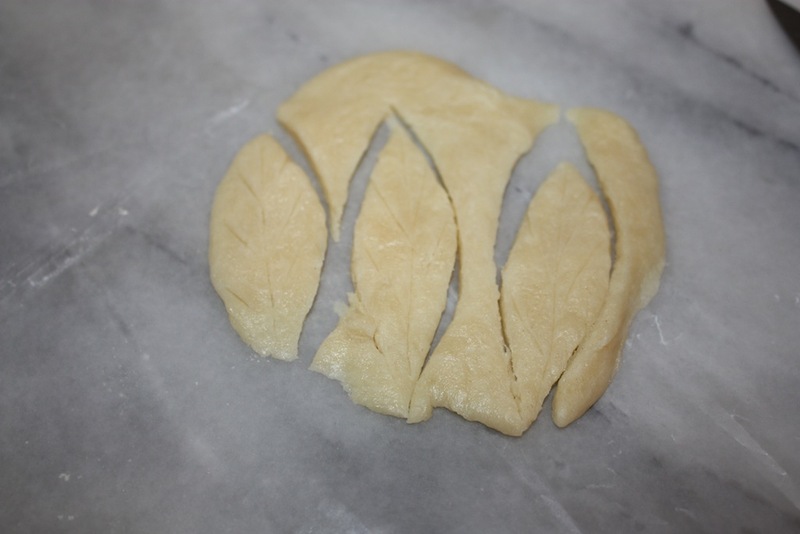 Score the tops of the leaves with a paring knife to resemble the lines of leaves. Transfer leaves to the center of the pie. 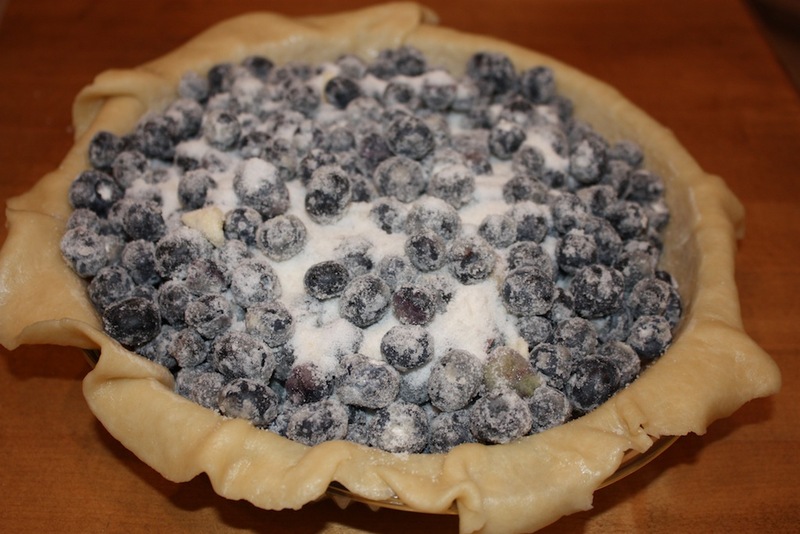 Brush the edges and top of the pie with the topping. Sprinkle with ½ tablespoon of sugar. 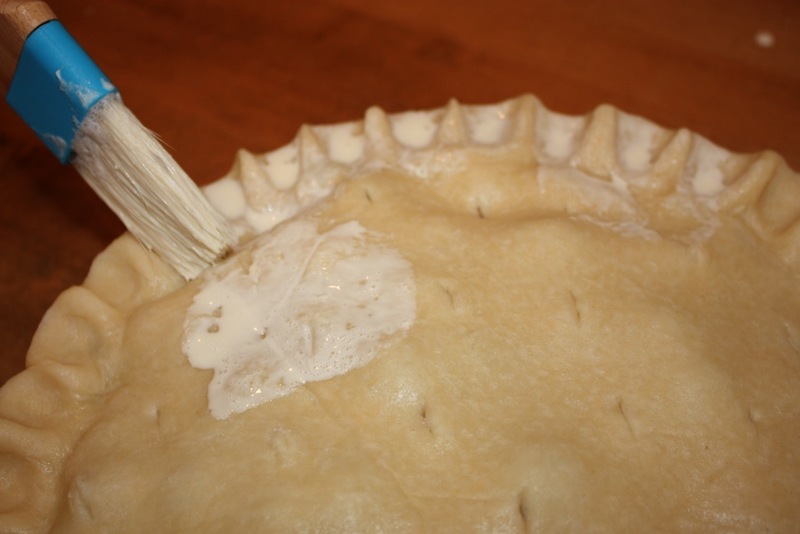 Cut air vents into the top of the pie with a paring knife. 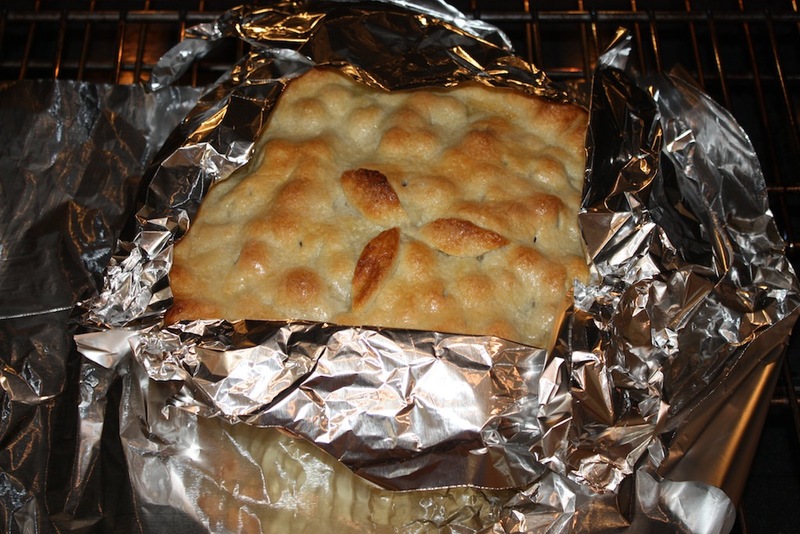 Bake on a piece of aluminum foil (to catch any spills) at 400º for 50 – 60 minutes, rotating the pie halfway through. 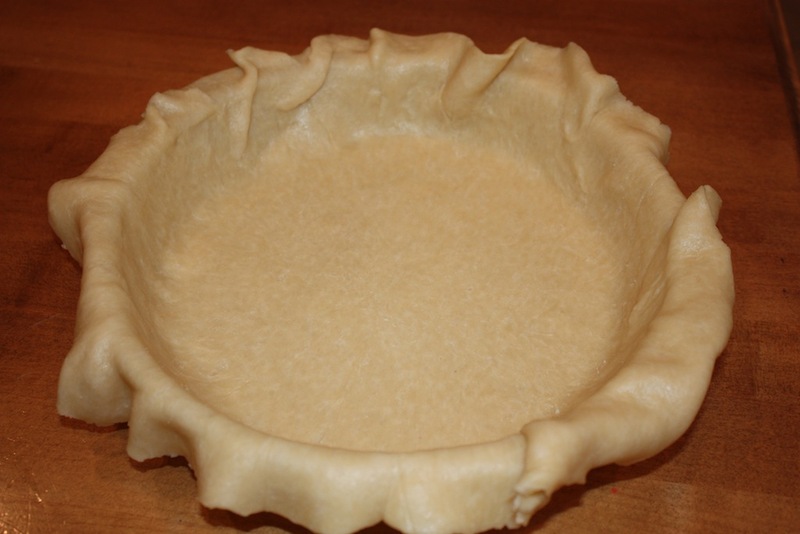 Check the crust edges after 40 minutes as they will bake more quickly than the top. Loosely cover the edges with foil if this happens to prevent the pie from having burnt edges. The pie juices will bubble up when it is done. Blueberry Pie is best served warm. Serving it à la mode with vanilla ice cream is over-the-top delicious! The prep time is about 35 minutes. 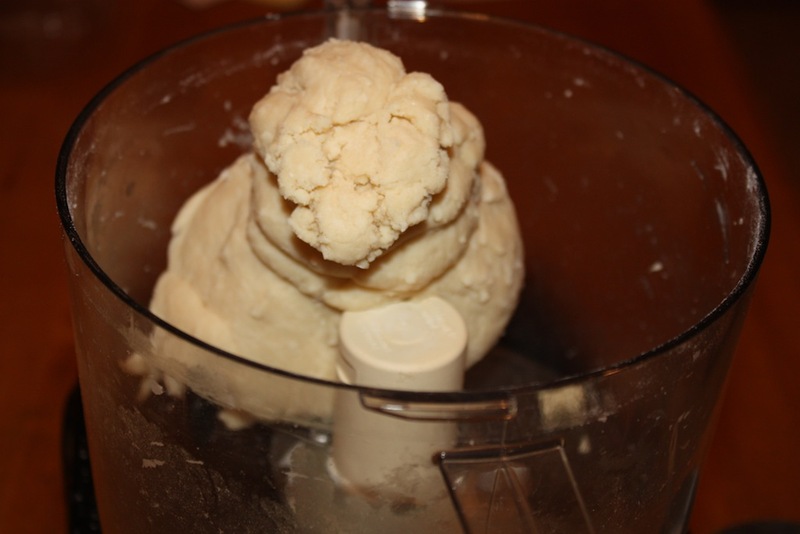 The dough must then rest at least one hour in the refrigerator before continuing. Thanks so much Cecille. I created the blog, with the help of Kalanit Design Studios. I write the posts and take the pictures. Glad you are enjoying Desserts Required. 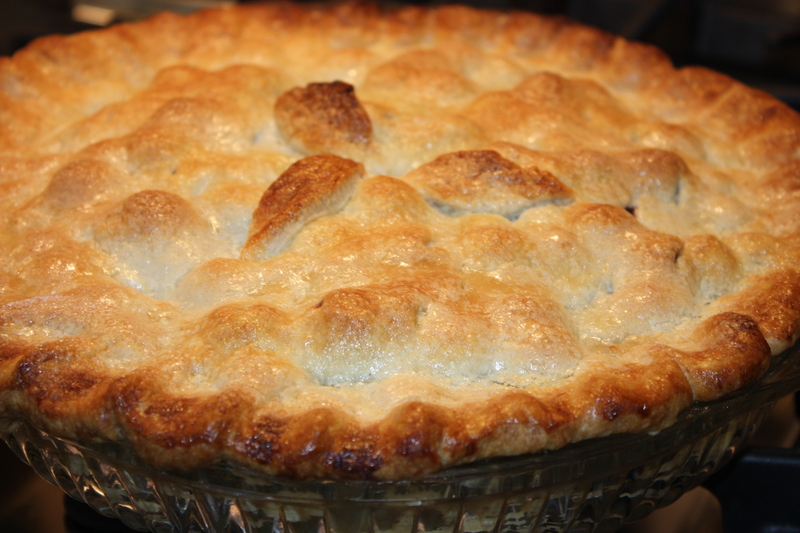 M., I think it is a personal preference in terms of topping a pie with the whipped cream mixture vs. melted butter. I used to top mine with melted butter, but now I lean more towards using the whipped cream mixture. Both ways are delicious so you can’t go wrong with your decision. Hope this helps. This pie looks absolutely heavenly!! I imagine the combination of cream, egg yolk and sugar aids in giving the crust a golden brown color. Love the style of your blog and easy-to-read recipes! Wonderful array of dessert recipes! Thanks so very much!! I love a golden brown buttery crust!